Medical school is hard, very hard. But there are several tips and tricks that can help make you a better medical student. The below infographic details out some good ideas for making sure you’re set up for success! Acne can be terrible for anyone, but in order to make sure the treatment you receive for it is somewhat helpful, it’s important to do some research. The below infographic details out several side effects and ingredients of various treatments, check it out. re you thinking about moving to the exciting city of Berlin? 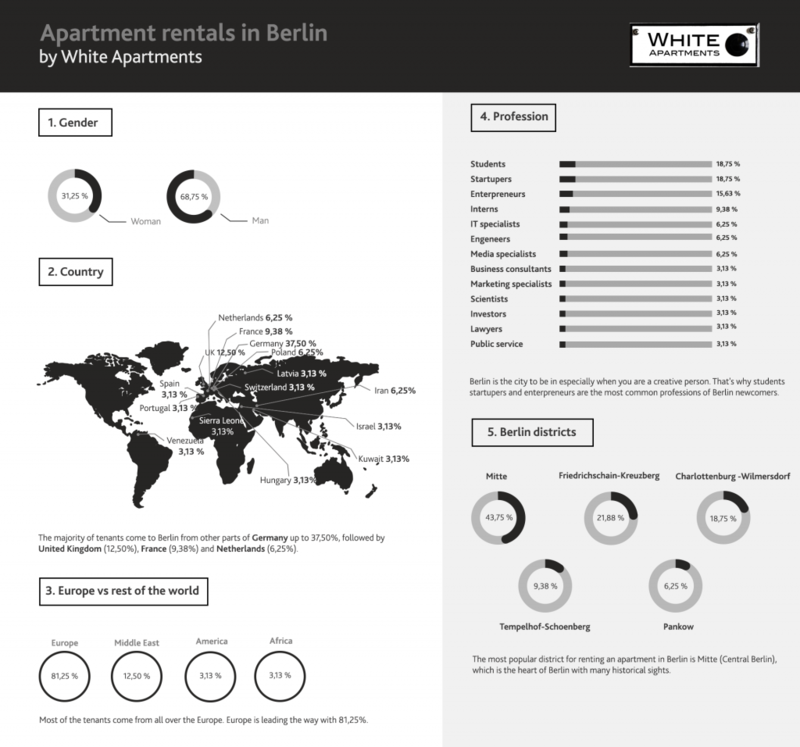 Find out which district is the most popular among our tenants for renting a furnished apartment. The infographic includes other interesting facts about our tenants like their nationality or profession.